"Imagine gluten ingestion on a spectrum. At one end, you have people with celiac disease, who cannot tolerate one crumb of gluten in their diet. At the other end, you have the lucky people who can eat pizza, beer, pasta, and cookies - and have no ill effects whatsoever. In the middle, there is a murky area of gluten reactions, including gluten insensitivity." Alessio Fasano, M.D., Mass. General Hospital. The Gut Health Profile (GHP evaluates GI tract function by assessing celiac disease (CD) risk, specific antibodies and immune reactions to gluten and gluten-containing foods. The GHP is designed to provide an accurate evaluation of GI tract function by gathering information from various pathways. Those with GI symptoms and disorders that might suggest a problem with gluten. Those with inflammation following exposure to exogenous factors potentially leading to chronic disorders: GI, skin, respiratory, joints, etc. Those with unexplained symptoms: fatigue, weight loss, skin rash, etc. Those seeking increased health efficiency (athletes, prevention, high performance on all levels). Those with a malabsorption of nutrients. 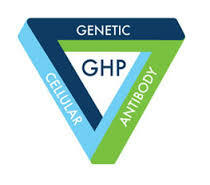 The GHP is a comprehensive test profile that analyzes genetic predisposition, detects specific antibodies, and measures potentially inflammatory cellular reactions all through one simple blood draw. Celiac disease risk analysis is determined based on the presence or absence of the HLA-DQ alleles. Both the DQ8 and DQ2.5 alleles are tested in this profile, with the DQ2.5 allele representing a much greater risk of CD. Four specific serum antibodies are tested due to their high sensitivity and specificity for active CD. The higher the antibodies levels, the more likely untreated CD is present. Higher antibody levels indicate higher likelihood of active CD. Gluten reactions can also be triggered by food sensitivities. The Alcat Test is included to reveal NCGS to 19 different items; including non-gluten containing items so you will know what your options are if you have a problem with gluten. The Alcat Test helps to identify food sensitivities and triggers of chronic inflammation to over 450 foods and other substances. GHP test results are color-coded and easy to read. Each result is thoroughly explained with physician written commentary. Call Rucker Chiropractic Performance & Rehabilitation for an appointment today at (425) 252-3127.